This article was originally published by the media-reform organization Free Press and is posted here by permission. 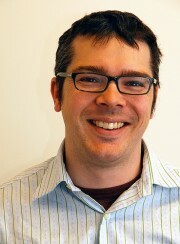 Josh Stearns is the journalism and public media campaign director for Free Press. You can follow him on Twitter at @jcstearns. Tuesday’s court decision, which struck down the FCC’s open Internet order and threatened the future of net neutrality, has huge implications for the future of journalism and press freedom. According to the Pew Research Center, half of all Americans now cite the Internet as their “main source for national and international news.” For young people the number is 71 percent. While we are nowhere near stopping the presses or tearing down the broadcast towers, the Internet is increasing how we distribute and consume the news today. The future of journalism is bound up in the future of the Internet. In many ways this will be a win for the large content companies such as Disney or Viacom. Yes, they might have to pay for prioritization on the broadband networks, but they have deep pockets and such a move would help them ensure their content continues to reach consumer eyeballs as the television industry fragments online. It’s possible we could see the emergence of a pay TV bundle of content that is either exempt from caps or just delivered with pristine quality while YouTube videos sputter. But it is not just sputtering YouTube videos we need to worry about. It is people’s ability to access the independent journalism and diverse voices, which have thrived on the Web. Net neutrality is about creating a level playing field for all voices. In an ironic twist, when it argued against net neutrality at the federal appeals court, Verizon claimed it actually had a First Amendment right to block and censor Internet users. And while the court largely ignored Verizon’s First Amendment claims, its ultimate decision essentially gave Verizon the green light begin “editing” the Internet. As more and more news and information moves online, we need to ensure that the flow of online information is free and unencumbered. Traditional battles over press freedom are critical, as the recent Committee to Protect Journalists report so clearly showed, but today we also have to understand that keeping the Internet free goes hand in hand with keeping the press free. The court decision this week is bad news for the Internet and for independent media, but it is not the last word in this debate. The Federal Communications Commission can reclassify broadband as what it is: the fundamental communications infrastructure of our time. That simple action would re-establish its legal authority and ensure that its can protect consumers and journalists from online discrimination. Protecting freedom of the press can’t stop online. * Because of the conditions placed on their deal to buy NBC in 2011, Comcast has to abide by net neutrality principles until 2018 regardless of this court case. The ISPs are privately owned. Let them decide their rules, as long as no fraud is involved. If the consumers don’t like that, or don’t like their ISPs’ rules and provisions, then the consumers will jump ship. The more freedom and choice the providers and the consumers have, the better. The free market will handle those ISPs who are “censoring” their users’ content, IF the users really don’t like that.